This trip around the world has been markedly different than our first trip. In 2015, we would fly one day, and spend three days on the ground, fly one day, spend three on the ground. This trip has been fly three days, spend a week on the ground...at least for me and Becky. The pilots had the additional flying over Africa for the eastern way-point, and over Antarctica for the southern way-point. 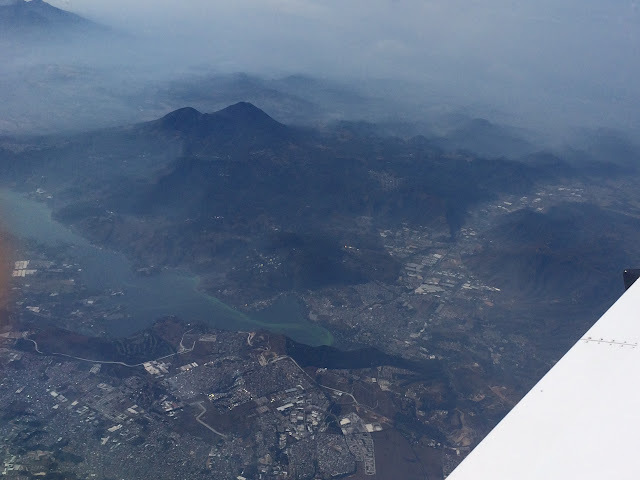 We left Santiago for Lima on January 23. Lima is one of the driest capital cities in the world. It never rains, never snows, but is always cloudy. Our five mile van ride to the historic district took over an hour, but our "guide" explained the highlights in Spanish and Giuseppe translated. Ten million people live here and I think they were all in cabs or cars today. The historical district is gradually being refurbished to clean and repair classic Spanish colonial architecture, squares, and fountains. They have a long way to go. But, we had a good English language tour of the old Monastery of San Francisco including the catacombs which is always interesting. Things we didn't see: The Nazca Lines. Up early to fly to Costa Rica and grab our LAST waypoint, crossing the equator just off the coast of Ecuador. We saw snow covered mountains peaking through dense clouds looking strangely similar to the Antarctic landscape. The Costa Rica landscape is lush and green, with yellow blooming Tabebuia trees (??) and blue sky. Another airport hotel - and the first one where they searched our bags for drugs!! We were more concerned that our chocolate from Argentina would melt in the Costa Rican sun. Time for catching up on email and wishing for more time in this clean and comfortable country. But, we are like cattle to the barn and tomorrow we'll be home. Home again after 23 days! Today we flew what feels like the last leg of the trip (but is not, technically) from Liberia, Costa Rica to our home base (for Carolyn and me) of Austin, Texas. I have flown this general route several times, so it almost felt like being home even before we crossed into the US. 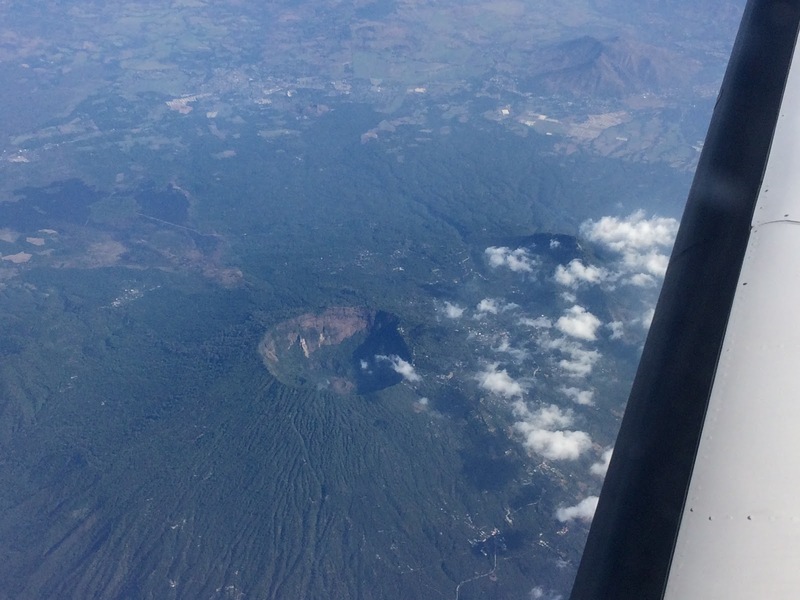 Enroute, we flew over a very volcanically active area. Giuseppe did a whole series of cool pilot oriented videos from the right seat today and Carolyn did shorter videos of just the take-off and landing. Weather permitting, the pilots and Becky will head to Jackson Hole to officially close-the-loop on the trip. Carolyn will keep the home fires burning in Austin for my return in a few days.